Ravi’s broad experience is founded upon a career in business services with a financial focus, where he held positions in senior management before progressing to Director at UHY Sothertons Adelaide. 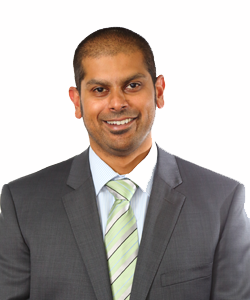 Ravi’s proactive, down to earth and energetic manner has led to strong client relationships. He is committed to maintaining his technical skills, and is well versed in the uses of appropriate technology to provide his clients with IT enabled financial solutions that streamline administrative processes. Ravi maintains frequent contact with his clients and often actively works with his clients to help them be the best at their game. He helps clients achieve this through effective solutions and planning. While Ravi caters to a broad range of industries, he maintains his knowledge in the specialist areas of agriculture, retail, commercial property and professional services. Ravi is as energetic out of work as he is in it, enjoying a diverse range of activities including motorsport, cycling and renovation projects.